Leveraged Buyouts (LBOs): LBOs is a method of acquiring a company or business using borrowed money. If the business or company that is being acquired generates fixed cash flows, the acquirer (typically, the sponsor providing equity) can purchase the business or company for relatively little cash. For this reason, the borrowed funds are considered the “lever” that multiplies the return on the purchaser's funds, which are constrained. In general, the ability to borrow large funds for this purpose relies on the stability of the cash flow the business generates. So-called buyout funds, which maximize returns by aggressively multiplying their borrowings, use LBOs as their principal acquisition method. Management Buyouts (MBOs): MBOs involve the acquisition by existing corporate management of a company's shares or operations. As the existing management team typically has a limited amount of cash available, MBOs generally require that funds be raised to acquired an operation. 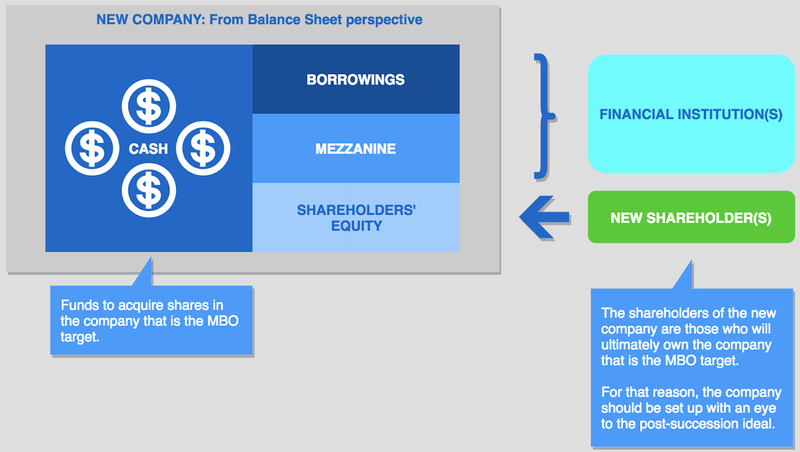 For this reason, an MBO may take the form of an LBO. In the event that borrowed funds alone are insufficient, the management team may offer equity to a collaborative sponsor, such as a buyout fund or partner. In recent years, this method has been used more frequently by listed companies that are delisting and to enable the succession of owner-operated companies. 1st Step (above) - Establish new company to serve as the conduit for share acquisition. 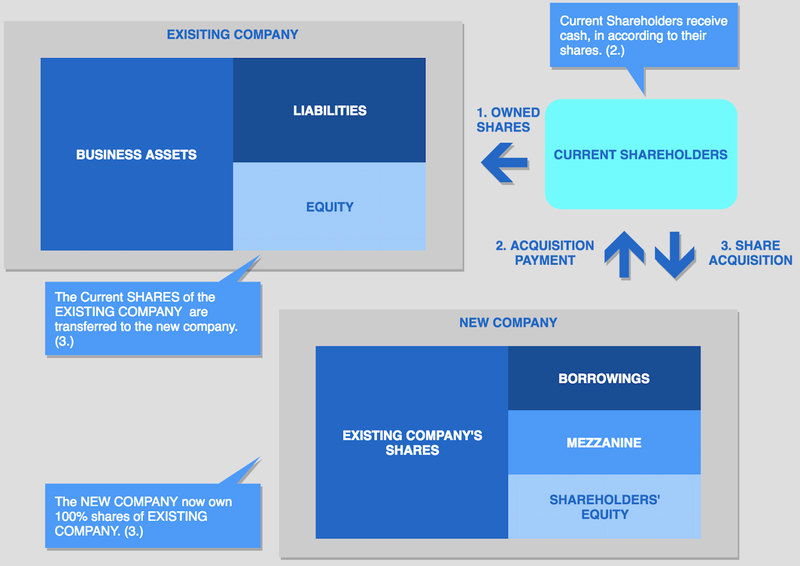 2nd Step (above) - The new company accumulates shares from existing shareholders. Allows creation of the ideal shareholder structure. Provides the opportunity to sell shares that are relatively illiquid. Prevents shares from being scattered and stabilised management. No impact on operations, but if there will be any it will depend on "New Management Team".